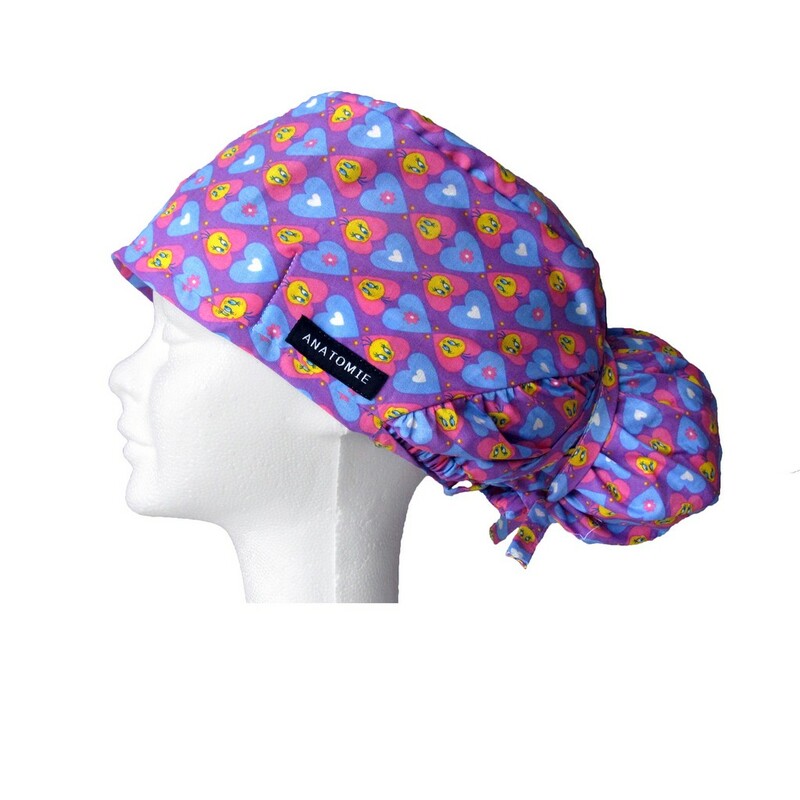 Surgical cap for women with medium / long hair made from fabric of the cartoon character Tweety. The fabric is formed by blue and pink colored hearts and on a purple background. Very colorful, one of our star products. 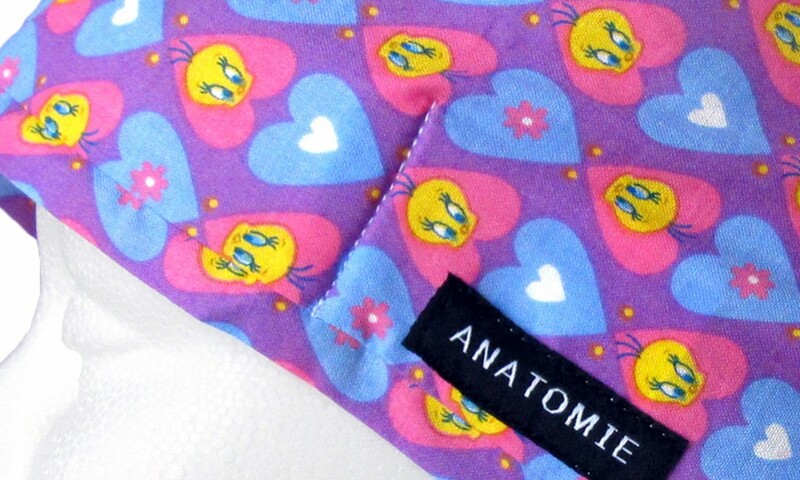 ANATOMIE Nurse Cap made from fabric of Tweety. Model: Female. Medium /Long hair. Inner headband to absorb sweat. Important: This is not a product licensed by Warner Bros©. However, it is a product made from fabric of a Warner Bros© character. We are not affiliated or work for Warner Bros©. This surgical cap is made with elastic bands so it can fit all sizes. It also has two side straps that allow you to tie your hair forming an attractive bow. Currency conversions are estimated and should be used for informational purposes only. The payment will be made in EUR.